Drug Injecting and HIV Infection is a comparative international study of drug injecting behaviour and HIV infection based on the World Health Organization's study of 13 cities as disparate as Athens, Bangkok, Glasgow and Rio de Janeiro. Using a standardized methodology for the collection of data, as well as central data management and analysis, this study represents the largest international project of its kind. 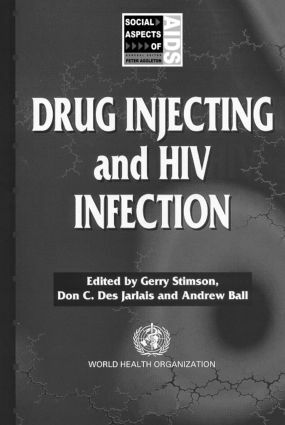 It presents a comprehensive overview of what is currently known about drug injecting, HIV infection, epidemic dynamics and possibilities for prevention. Stressing the importance of linking research to intervention and policy, the contributors emphasize the need to place HIV and policy issues on the international agenda. Written by experts in the field, this global study offers an in-depth and definitive analysis of the subject.